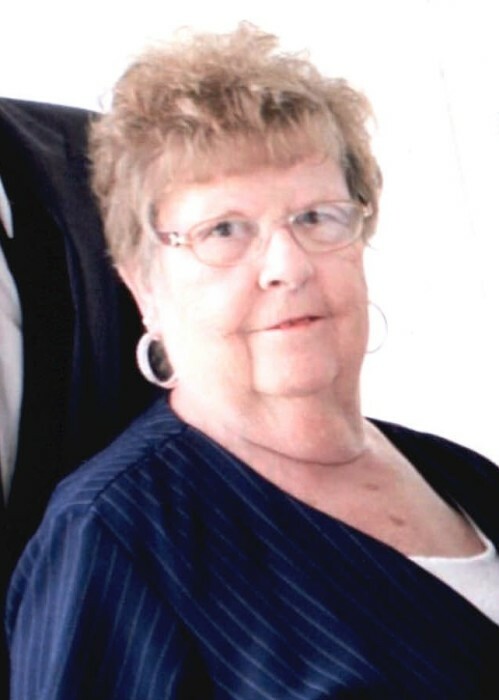 Maryann D. Beer, 81, of Decatur, passed away on Sunday, February 10, 2019 at Adams Woodcrest. Maryann was born on July 5, 1937 in Adams County to the late David P. and Katherine (Amstutz) Neuenschwander. On May 3, 1964, she married Roger P. Beer. Maryann was a member of the Berne Evangelical Church. She was a homemaker, seamstress and loves her grandchildren, friends, gospel music, gardening, collecting pig figurines and playing cards. She is survived by her husband, Roger P. Beer of Decatur; 2 sons, Tony (Cheryl) Beer of Monroe and Greg (Tina) Beer of Decatur; 3 brothers, Alvin D., Paul D. and Howard D. Neuenschwander; 5 grandchildren, Sabrina (Nick Dale) Schnurr, Adam (Brittni) Schnurr, Jessica (Andrew Doody) Beer, Josie (Austin) Smith, Jayla (Dylan) Baker; 5 great grandchildren, Skyleigh, Rhyin, Deacon, Brantley and Emersyn. Maryann was preceded in death by 6 brothers, Philip D., Simon D. David D., William D., Vilas D. and Daniel D. Neuenschwander; 3 sisters, Caroline D. and Lydia D. Neuenschwander and Laura D. Sprunger. Visitation will be from 3:00-8:00 p.m. on Wednesday, February 13, 2019 at Haggard-Sefton-Hirschy & Zelt Funeral Home. Funeral Services will be held on Thursday, February 14, 2019 at 10:00 a.m. at Berne Evangelical Church with calling 1 hour prior to service from 9:00-10:00 a.m. Pastor R. Kent Fahl will be officiating and burial will be in M.R.E. Cemetery. Memorials are to the Ronald McDonald House or Berne Evangelical Church.